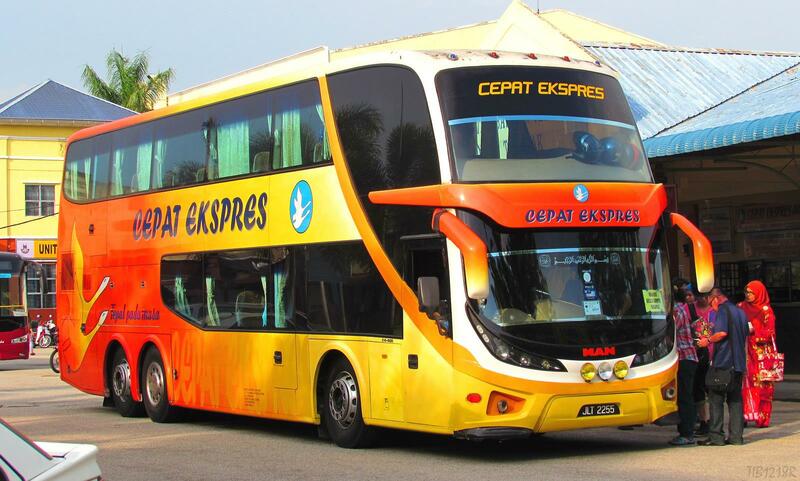 Cepat Express is a popular express bus company in Malaysia. Cepat Express’s headquarter is based in Segamat, Johor. Cepat Express offers more than 1,300 trips daily to various places within Peninsular Malaysia. Cepat Express buses cover various major cities and towns in Peninsular Malaysia such as to Johor, Kuala Lumpur, Melaka and many more. Popular routes for Cepat Express include bus from Segamat to Kuala Lumpur, bus from Segamat to Batu Pahat, bus from Melaka to Johor, bus from Penang to Kuala Lumpur and many more. Cepat Express buses are all well maintained double-decker Super-VIP with air conditioning and comply to the international safety standard to ensure safety, reliable and comfortable ride to our customer. Cepat Express drivers are well trained and professional to provide passengers the safest and most comfortable journey. Jalan Genuang, 85000 Segamat, Johor Darul Takzim.